25 years, 9 months, 30 days old age. Shivam Dubey will turn 26 on 26 June, 2019. Only 2 months, 22 hours, 25 minutes has left for his next birthday. Shivam Dubey has celebrated the total number of 25 birthdays till date. See the analysis by days count and bar graph. Shivam Dubey (Shivam Dube) was born on 26-06-1993 in Mumbai in the state of Maharashtra, India. He is an Indian Cricket Player. Shivam Dubey is a young emerging Indian all-rounder who plays for Mumbai in the domestic cricket. He was instrumental in helping his school team win the u-14 Giles Shield tournament. He though had to miss out from playing cricket for 5 years after that. He then came back in 2016 much stronger and with some intent. He was in the headlines after he a struck 5 consecutive sixes in Mumbai T20 league. Soon, he was drafted in the senior Mumbai team. He kept scoring runs and was handy with the ball as well. He played a huge role in Mumbai winning the 2016-17 Ranji Trophy. Just before the IPL 2019 player auction, he once again hit 5 consecutive sixes to Swapnil Singh of Baroda. Thus, he became a hot property at the auction table. He was finally roped in by RCB at a whopping 5 crores. He has an elder sister named Pooja Dubey. 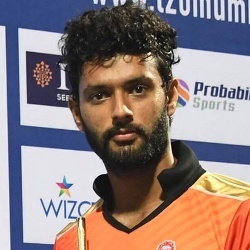 In the IPL 2019 season, he was bought by RCB for 5 crores in the IPL 2019 auction. He took 7 wickets for 54 runs during the match against Karnataka. He hit five sixes in one over, in the Ranji Trophy match against Baroda on Dec 2018. He scored his maiden century in first-class cricket during the match against Railways on Nov 2018. He had to miss out on cricket for 5 years due to financial issues.